At a new, nearly $75 million building designed to serve as a headquarters for the Seattle District of the U.S. Army Corps of Engineers, rainwater will be gathered in 25,000 gallon basins to flush the toilets and fulfill other water-related needs. The building, financed by resources doled out as a result of the 2009 American Recovery and Reinvestment Act, was designed by ZGF Architects LLP ad Sellen Construction and is intended to set a standard for sustainability and clean energy. "This is the way buildings should be built if we are going to conserve energy and deal with climate change," said U.S. Representative Jim McDermott at a dedication ceremony, according to a statement from ZGF. "With its innovative water capture and energy efficiency, the new district headquarters is a model for sustainable buildings." In addition to the rainwater toilets, the majority of the lighting in the building is provided cost-free by the sun. Plus, the 300,000 boards of wood used to build the facility are all recycled. While this initiative from the U.S. Army Corps of Engineers certainly has the potential to have practical long-term implications for the rest of humanity, an American company says that the opposite is true for a noted international plumbing product manufacturer. Toto - a Japanese toilet company that's become globally recognized for luxury toilets and novelty creations - has been accused of wasting its time and talent by Roto-Rooter, an Atlanta based toilet repair company. Specifically, a statement from Roto-Rooter points to a toilet that also functions as an expert soccer goalie as an example of something created by masterful engineering that could've been put to use solving practical problems. The company points out that, should Toto pulls its collective head out of the clouds and focus on the real world, it would not be the first time Japanese innovation was applied to improve sanitation worldwide rather than for novelty value. 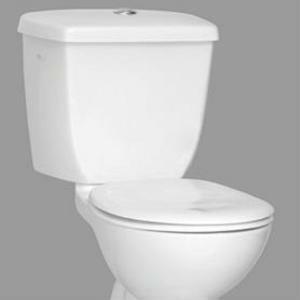 It was Japanese engineers, Roto-Rooter reminds us, who resolved the problem of high-efficiency toilets that weren't being fully-cleaned after just one flush. Engineers from the Land of the Rising Sun figured out out how to apply greater power with less water. "With the same innovation and problem-solving that these Japanese engineers put forth, manufacturers were able to greatly improve flushing power using less water and show that research and development can lead to greater improvements in the world, step by step," reads the statement from Roto-Rooter Atlanta.